Orange/Pink/Blue Del Mar Shirt. 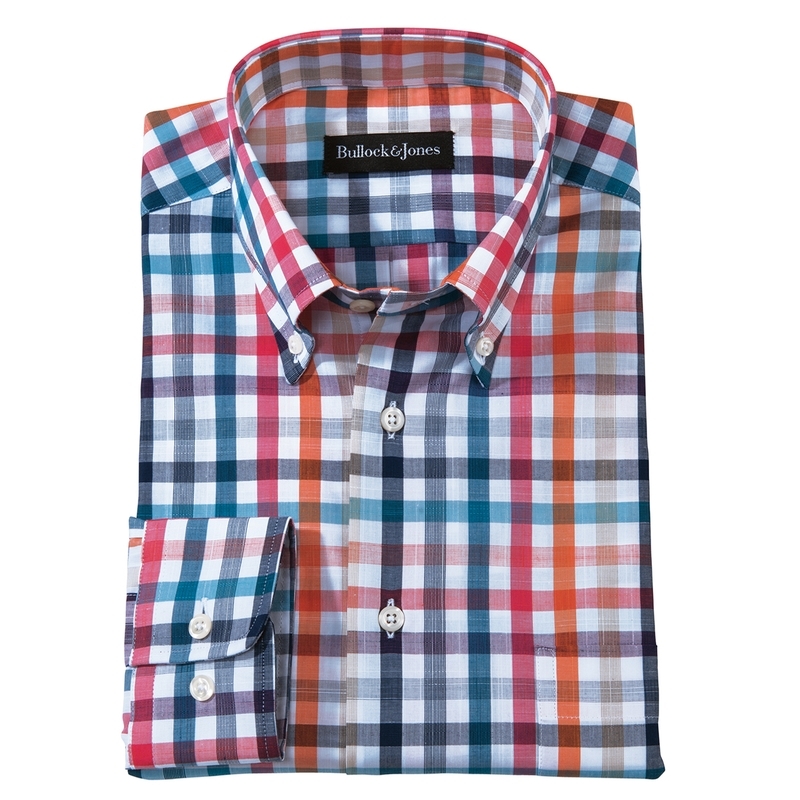 Del Mar Multicolor Check Sport Shirts provide fresh color and the unmatched comfort of pure cotton woven in Italy. Tailored in America with button-down collar, long sleeves, one pocket.